After months and months of living in an endless winter, the sun FINALLY came out at the weekend. Hooray! Even though it was still a bit too cold, and definitely a bit too breezy, I lay in my garden & soaked up as much natural light as I could... I worry that I've been developing a vitamin D deficiency! 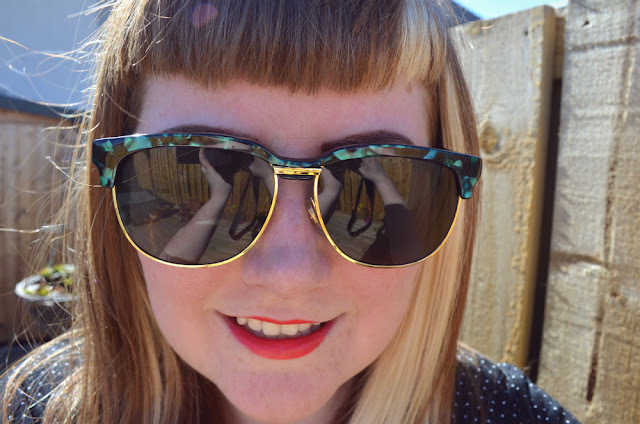 The sunshine also gave me an excuse to whip out my brand new sunglasses, vintage inspired wayfarers from Motel Rocks. I love them! They were only £18 (bargain!) and do feel a wee bit plasticy, but not flimsy at all - I have full faith that I can chuck them in my bag and they'll live to see another day. They felt a wee bit small for me at first, but not too uncomfortable, and I think they'll stretch to fit (does this mean I have a big head? Oh dear!). That aside, I'm really, really pleased with them. Motel have got a few different styles in their shop at the moment... I'm also eyeing up this tortoiseshell pair. Lovely! Also, remember that the code eversojuliet will get you 20% off at Motel Rocks all the time (apart from, annoyingly, some accessories - like these! Good if you fancy a dress though). Very cute! Don't you just love camera reflections on selfies??? Anytime I wear shades all you see is my arm lol. Round frame glasses are my favorite choice to buy designer eyewear in UK. I live in the UK and we always finding a unique staff that enhance my personality and style statement as well. 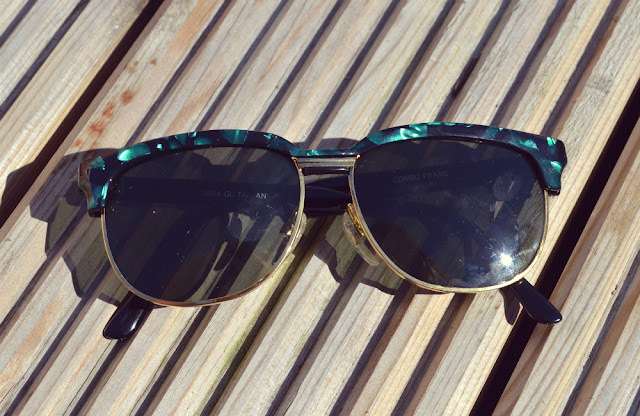 These types of sunglasses are nice option for those women who want a pair that increased their style statement and suit on their face. In this pair you are looking very cute, this pair is totally suit on your face. Nice Eyewear. Ever So Juliet is two!